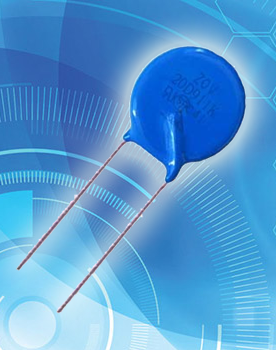 Metal Oxide Varistors, in short MOV, is a passive two-terminal solid state semiconductor device that is used to provide protection to electrical and electronic circuits. Unlike the fuse or circuit breaker which offers over-current protection, the varistors provides over-voltage protection from excessive voltage which can damage sensitive components.The most common type of varistor is the Metal Oxide Varistor (MOV) and Zinc Oxide Varistor (ZOV). This type contains a ceramic mass of zinc oxide grains, in a matrix of other metal oxides (such as small amounts of bismuth, cobalt, manganese) sandwiched between two metal plates (the electrodes). The boundary between each grain and its neighbour forms a diode junction, which allows current to flow in only one direction. We are suppliers of Metal Oxide Varistors in DAIN which include values like 7D471K, 10D511K, 10D561K, 14D471K, 20D511K and varies other according to requirement of the manufacturers.